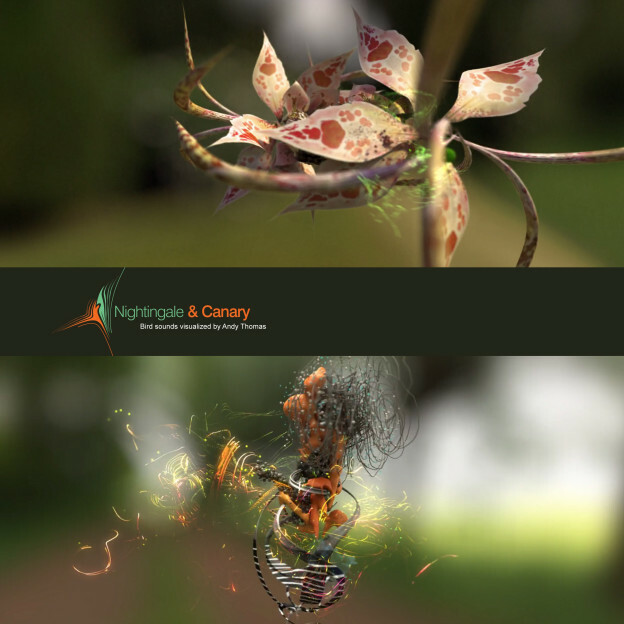 Nightingale and Canary was commissioned by the Netherlands institute for sound and vision, these are some stills of the animation and work flow. 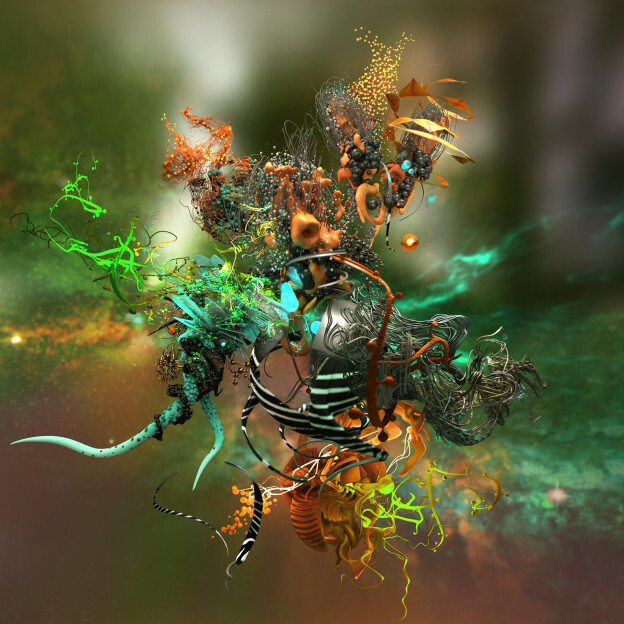 Bird sounds were digitally represented as moving 3D forms. 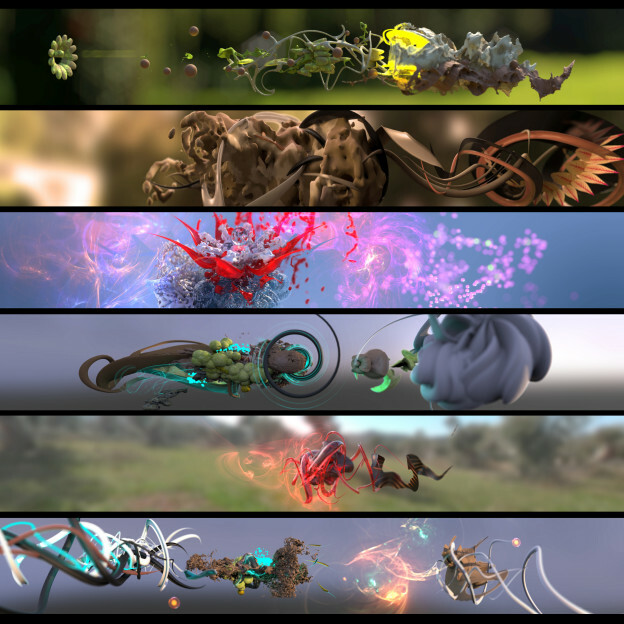 Colours of plumage and the environments of the birds were reflected in the creation of these animations. 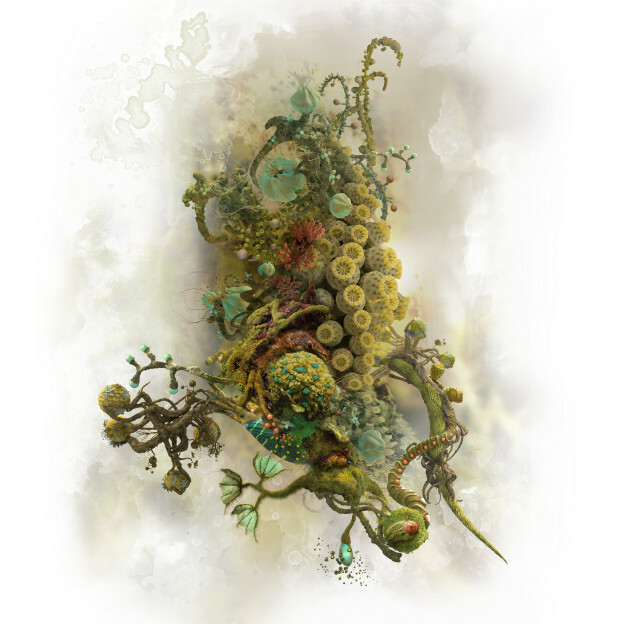 These are 2D organic sculptures mixing nature and technology. 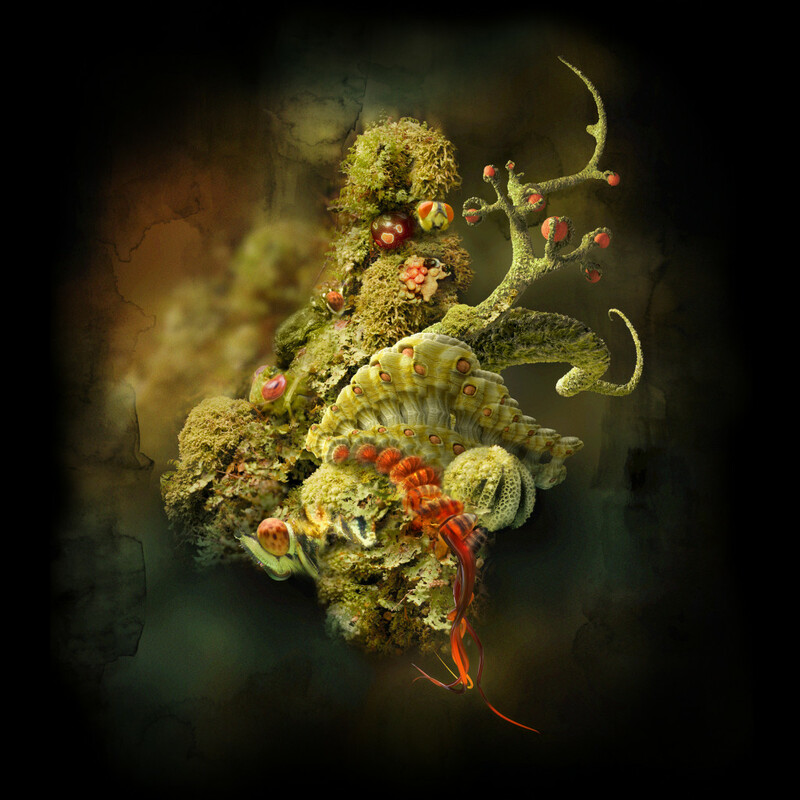 Photographs of moss and other plants were taken on field trips to Tasmania and Queensland Australia. 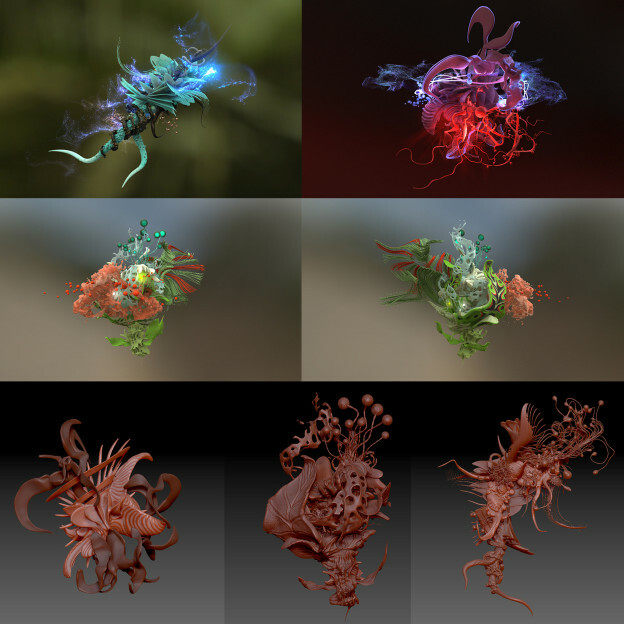 These were mixed with 3D generated forms created in 3DS max and Zbrush. 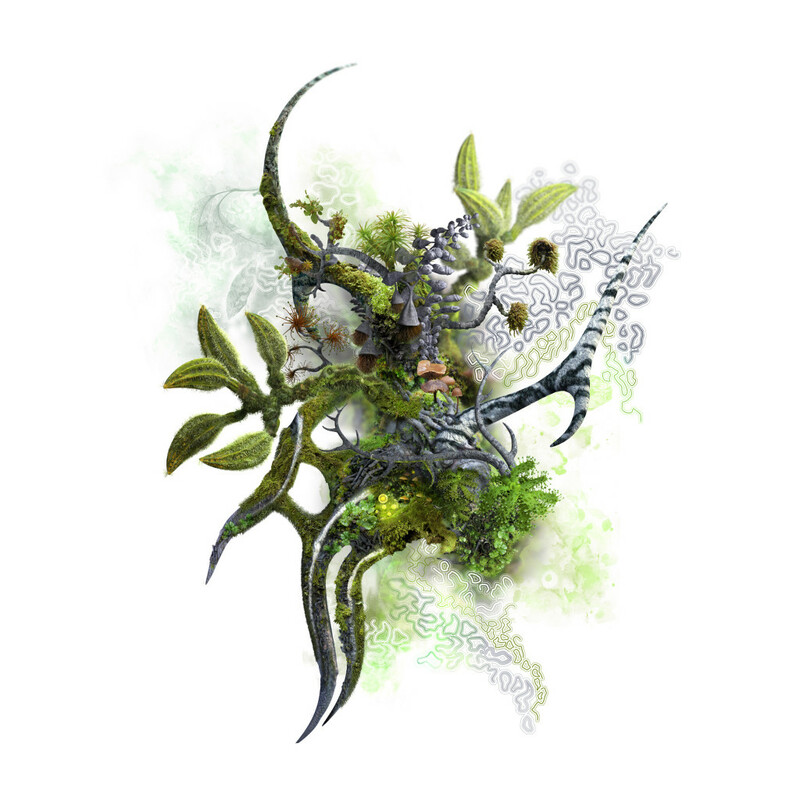 Textures of the moss were used to paint the 3D forms before compiling them in Photoshop. 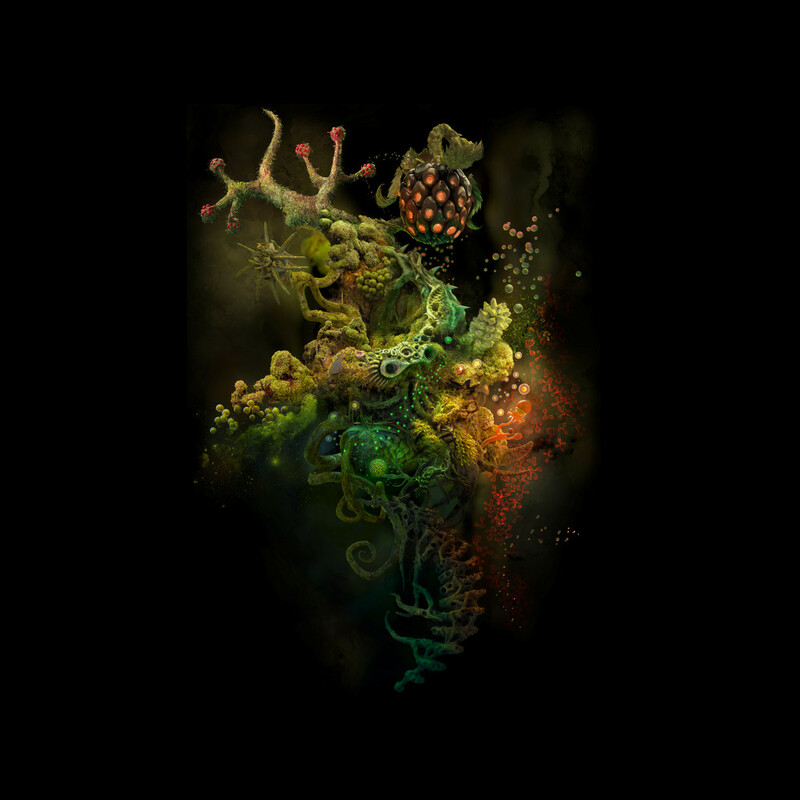 Fractal theories of self similarity were used as a foundation for the creation of this work. 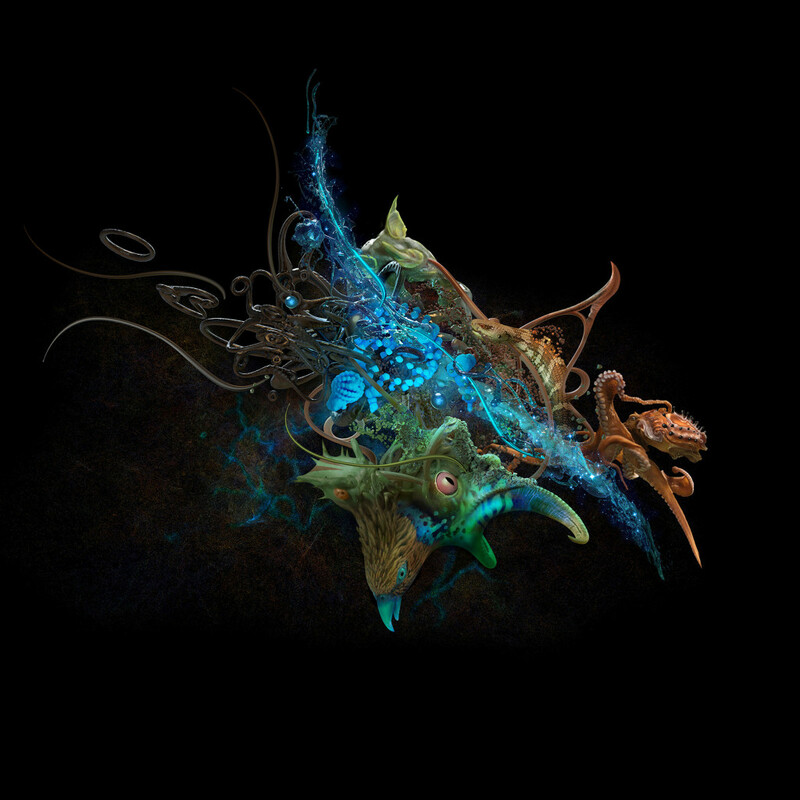 A selection of 3D generated sculptures which are a depiction of what bird sounds would look like frozen in time. 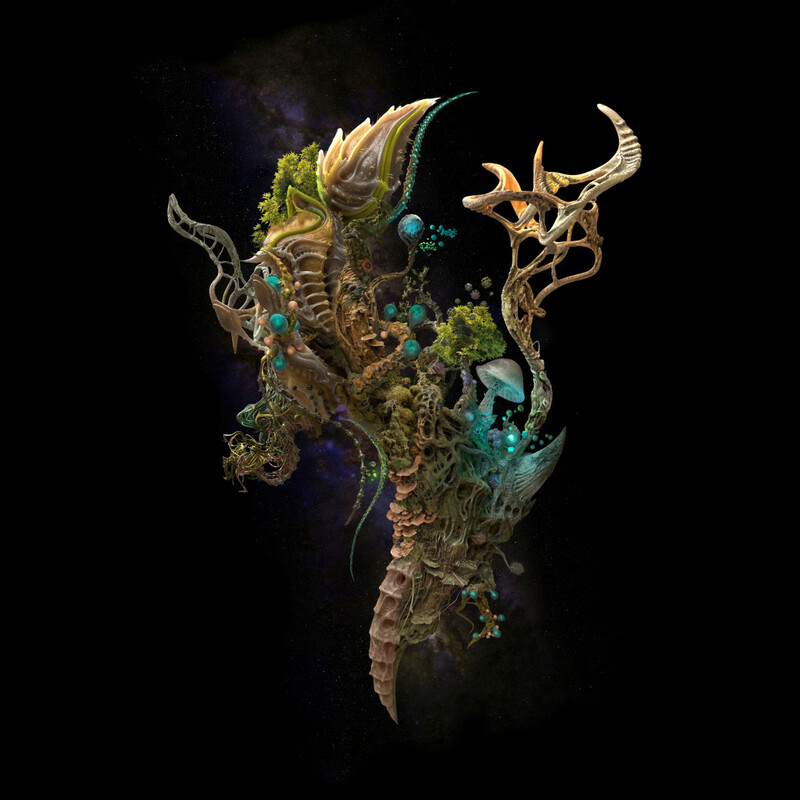 These are hand crafted using a wacom tablet and sculpting software called zbrush. 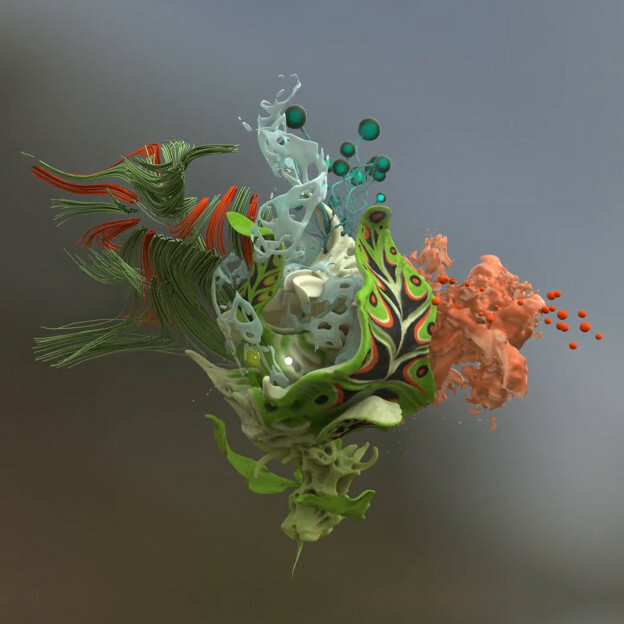 3D Sculptures Volume 1 from Andy Thomas on Vimeo. I was commissioned by the Finnish Nature centre at Haltia to travel to various locations around Finland to record bird sounds and created animated visualizations that represent the subject matter in abstract ways including the colour of their plumage, eggs, diet and natural surroundings. 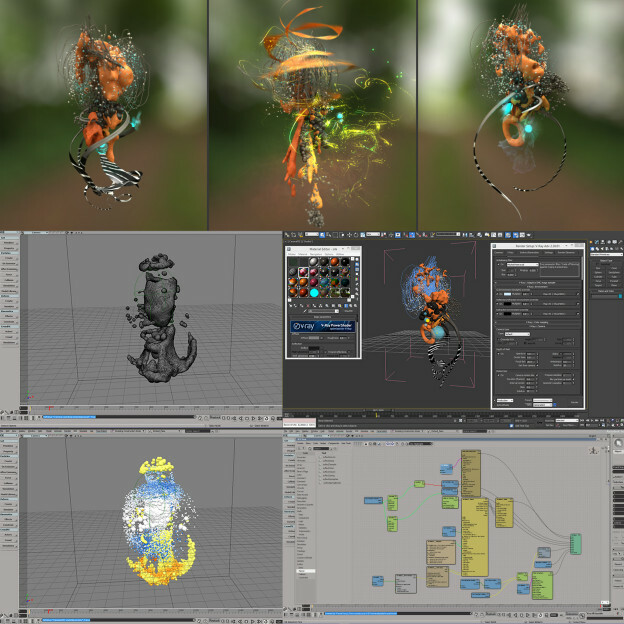 Particle effects software was used to recreate physical properties including liquid, smoke, light, and plants. Representing the four elements: earth, wind, water and fire. 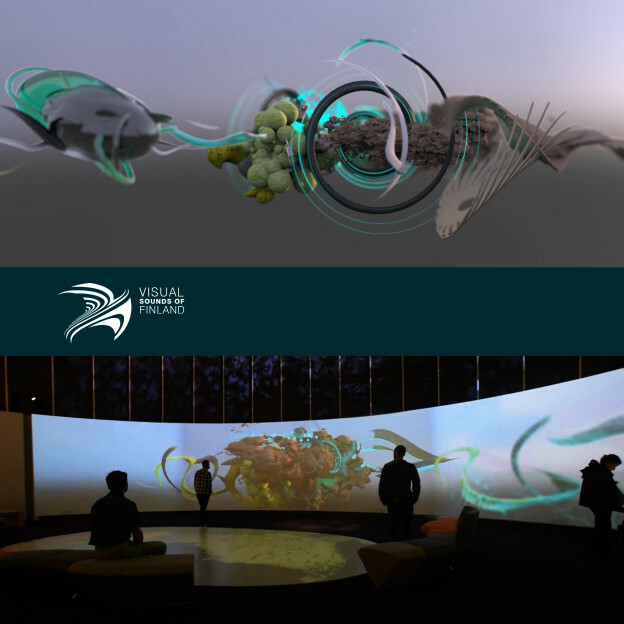 The animations were created at super high resolution to be played on the big curved screen at the Nature Centre. Visual Sounds of Finland Sampler from Andy Thomas on Vimeo.